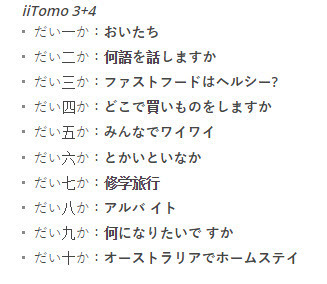 Preview sample pages from iiTomo 3+4 Student Book. Preview sample pages from iiTomo 3+4 Activity Book. 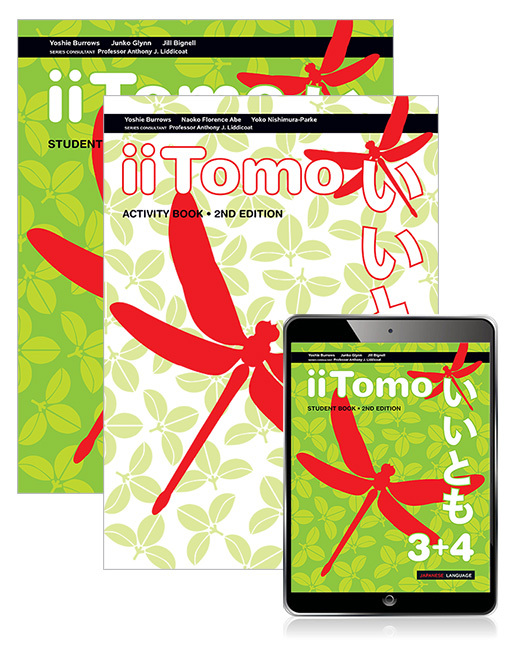 iiTomo 1-4 2nd Edition Student Book for Years 7-10 was revised based on user feedback and is aligned with the latest Australian Curriculum: Languages – Japanese (Year 7 entry), Victorian Curriculum for the AC, Western Australian Curriculum for the AC and the new NSW Syllabus for the AC. It is now even more relevant to students and offers additional support for personalised learning. Students are motivated and learn to become independent learners. They now possess the tools to read and write hiragana, katakana and kanji quickly and confidently, and to converse in Japanese as early as their first few weeks of Japanese, whilst using intercultural, investigative and critical thinking skills. The write-in iiTomo 1-4 2nd Edition Activity Books cater for a variety of learning styles, offering opportunities to practise and reinforce key skills and learning. Updated engaging activities offer even more support and differentiated learning opportunities whilst allowing students to track their progress for deeper motivation. What would you like to be doing now? New opportunity for extension with Power up! A wealth of resources and choice of mode of delivery which allows for flexibility of learning and teaching. Visit our iiTomo website for further information regarding all of the series components, plus download sample pages.